Specializing in Personal Injury, Auto Accidents and Medical Malpractice. Daniel P. Beck, personal injury and auto accident lawyer in Detroit, is a Michigan trial attorney who specializes in cases of serious personal injury, wrongful death, medical malpractice, and auto accidents in Detroit, on behalf of injury victims and their families. 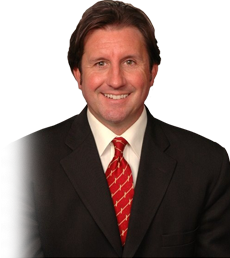 He practices law primarily in the Metro Detroit area and throughout the State of Michigan. Mr. Beck handles injury lawsuits throughout the State of Michigan in both the federal and county court systems. He does not represent insurance companies or corporations, but instead focuses his practice on helping those harmed by others’ wrongdoings to obtain the justice and maximum compensation they deserve. Mr. Beck handles claims and lawsuits arising out of car or truck crashes. He represents injury victims to recover compensation against negligent drivers who cause injuries to others. He helps clients obtain no fault benefits (payable regardless of who is at fault) for medical expenses, lost wages, $20 per day for household help, and for the payment of hourly market rates to family members who provide attendant care for their catastrophically injured loved ones. In addition to specializing in Michigan auto law, Mr. Beck also represents people who are injured or killed as a result of medical malpractice and hospital mistakes. His clients also include workers injured due to construction site errors. He represents victims of trip or slip and fall injuries at apartments, stores, or other venues. Further, he has considerable experience in handling lawsuits that arise out of animal-inflicted injuries, such as serious dog or cat bites. Moreover, he has successfully represented clients who are hurt at daycare centers, and by police misconduct, nursing home negligence, and other situations in which children, adults, or the elderly are harmed by someone’s failure to exercise reasonable care. Dan Beck has the unique experience and background of initially beginning his career as an insurance defense lawyer with one of the 20 largest law firms in Michigan, where he represented insurance companies and corporate defendants in personal injury lawsuits for eleven years. Thus, unlike the majority of Michigan personal injury attorneys, for over a decade Mr. Beck actually worked as the defense lawyer on the same kinds of cases he now brings against defendants on a daily basis. This rare combination of knowing how insurance companies defend cases, and having extensive, first-hand experience in defending those very cases, proves to be an invaluable asset to Dan’s clients in his everyday litigation practice. In 2004, Mr. Beck was nominated and elected to the Executive Board of the Michigan Trial Lawyers Association, where he served in that capacity until 2014. This organization, now known as the Michigan Association for Justice (MAJ), is a non-profit membership organization based in Lansing dedicated to furthering civil justice in the Michigan court system. As an Executive Board member, Dan participated in various events to educate the public and to promote youth safety, including annual bike helmet giveaways for underprivileged school children, and phone-a-thons to increase MAJ membership. In 2009, Daniel Beck attained the high honor of being nominated and elected as an associate into the American Board of Trial Advocates (ABOTA), an international organization of top lawyers dedicated to the preservation of the right to trial by jury as guaranteed by the U.S. Constitution’s Seventh Amendment. Membership in this organization is by invitation only and consists of attorneys who have successfully completed at least twenty jury trials as lead counsel and who have consistently demonstrated the highest levels of professionalism, integrity, honor, and civility in their careers. In 2010, Mr. Beck was elected to the Million Dollar Advocates Forum, one of the most prestigious groups of trial attorneys in the United States. 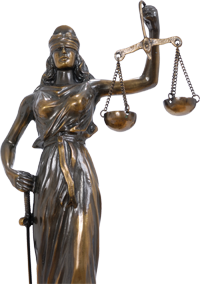 Membership is limited to attorneys who have won million dollar verdicts and settlements. Fewer than 1% of U.S. lawyers are members of this prestigious organization. In late 2010, several of Dan’s contributions were published in the newest edition of the lawyers’ manual Starting the Case 2011, an Updated Collection of Michigan Complaints. This compilation is widely used by attorneys of all experience levels as an important reference tool in handling serious personal injury and wrongful death cases. In 2011, Daniel Beck was named a Michigan Super Lawyer in the areas of serious personal injury and wrongful death cases. This selection was based on a statewide confidential nomination process, a review of his resume, and an evaluation by his peers. The Super Lawyers honor showcases attorneys who exemplify excellence in the practice of their law specialty. Only 5% of Michigan attorneys are chosen each year for this honor. In 2012 and 2013, for the third consecutive year, Mr. Beck was again recognized by his fellow attorneys as a Michigan Super Lawyer. In 2012 and 2013, Dan was appointed by the bar association’s President as co-chair of the Civil Law Committee for the Macomb County Bar Association. He serves as co-chair of the association’s Bench and Bar Conference held bi-annually in March. Mr. Beck’s former law firm received a Tier 1 ranking in the 2013 Edition of U.S. News and World Report – Best Lawyers “Best Law Firms.” The Tier One overall ranking by U.S. News encompassed a combination of client feedback, an evaluation by lawyers in other firms in the same practice area have for his firm, and consideration of the individual accomplishments of each of his firm’s attorneys. Only a very few Metropolitan Detroit area personal injury firms received this top tier ranking. Daniel Beck was also recognized for his individual achievements by being named once again in the 2013 edition of The Best Lawyers in America. Best Lawyers is the oldest and most respected peer-review publication in the legal profession. For more than three decades, Best Lawyers lists have earned the respect of the profession, the media, and the public as the most reliable, unbiased source of legal referrals anywhere. More recently, Dan Beck received the honor of being selected as one of The Best Lawyers in America for 2014. Dan is a court-approved case evaluator in the Wayne, Oakland and Macomb County circuit court systems. Throughout the year he sits as a panelist to evaluate a wide variety of personal injury and wrongful death lawsuits in an attempt to efficiently resolve cases to avoid the necessity of ongoing litigation, lengthy jury trials, and expensive appeals. As a Trustee of the Macomb County Bar Foundation, Mr. Beck is involved in charitable causes to promote public service and civic involvement. In particular, Dan and his wife Lynn are active supporters of one of the Foundation’s long-time beneficiaries, The Care House, which offers aid and support to children who are victims of violence and abuse in Macomb County. Daniel Beck is a graduate of Wayne State University, where he earned a Bachelor of Arts degree in political science while working full time to support himself through school. He also is a graduate of the University of Detroit School of Law, where he obtained his Juris Doctor degree while attending night classes and again working full time to pay his tuition. Mr. Beck is a member of the American Association for Justice, the State Bar of Michigan’s Negligence Section, and the Macomb, Oakland and St. Clair County Bar Associations. He has also frequently returned to his alma mater and offered his available time as a volunteer moot court judge during student oral advocacy competitions held at the University of Detroit Mercy School of Law. Outside of the office, Dan enjoys spending time with his wife Lynn and his family, and he also enjoys playing the piano and composing music, photography, golfing, and autograph collecting. Additionally, for 10 years he was the keyboard player in the Detroit area rock band Little Fish.